This Christmas there’s a few things we’d like to find under the tree. Chocolate is always the way to our hearts – but we’ve also included a selection of our favourite stocking fillers. It’s our guide to the ultimate pampered Christmas. 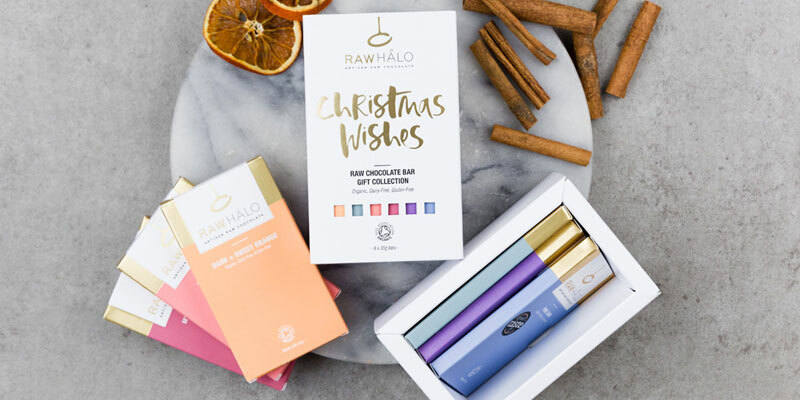 Give this gift of raw chocolate this Christmas. 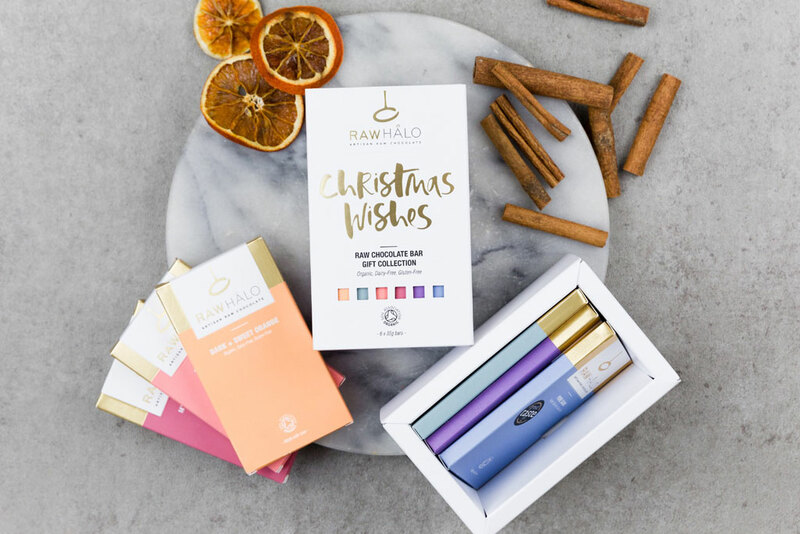 Our luxurious gold embossed sliding gift box oozes decadence, whilst the six included 35g bars offer the finest organic chocolate experience with our Christmas inspired flavours including Ginger + Pecan, Mint, Cinnamon, and Orange. Vegan, Dairy-Free, Gluten-Free and Refined Sugar Free. 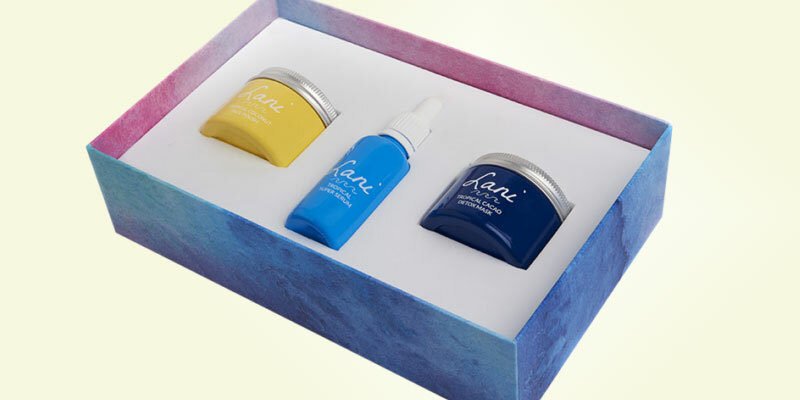 We’re big fans of Lani here at Raw Halo, and their range of cruelty free, vegan, and natural skin and hair products always come highly recommended. This “Skin Heroes” gift collection features their creamy Tropical Coconut Face Polish, Radiance Mask, and tropical serum. After a few lates nights over the Christmas holidays, we’ll all surely be in need of a little pampering, so this makes the perfect gift. We love this gorgeous necklace from Edge of Ember – the perfect stocking filler if they’re particularly deserving this year. The black sapphire in the centre is surrounded by radial line detail, symbolising glowing energy. 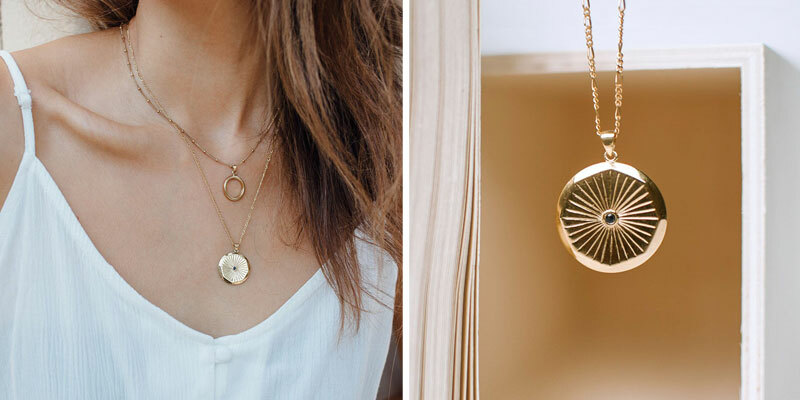 We think it looks great when layered up with other necklaces. What’s better than one amazing gift – well how about three?! This fab little gift from Neom will have the recipient enjoying their beauty sleep in the most luxurious fashion. 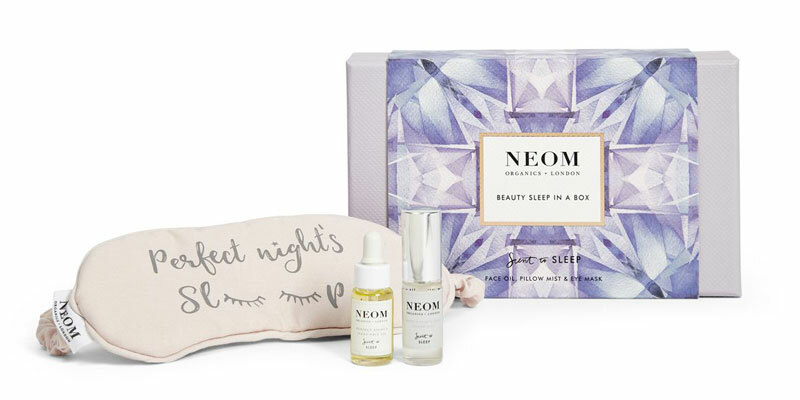 The set features a Neom Tranquility Scented Eye Mask, Perfect Night’s Sleep Face Oil 5ml, and Perfect Night’s Sleep Pillow Mist 5ml. 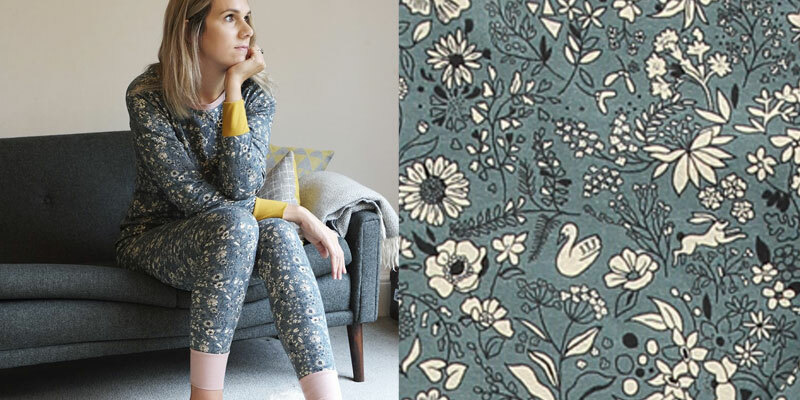 Christmas morning is all about PJs and we think this ditsy floral set from The Bright Co are perfect for the big day. Made from organic cotton, they’re super-soft and comfy with a relaxed fit and elasticated cuffs. We love the matching sets so the whole family can join in on the festive look. The best socks are always borrowed, so perhaps it’s time to get your own. 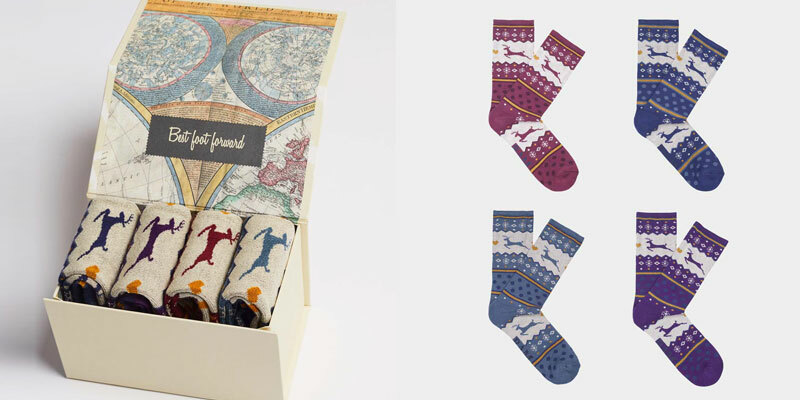 Why not treat yourself to a pair of these festive inspired socks from BAM Bamboo Clothing. Made from a bamboo blend, they’re super soft, and with 4 colours to choose from, you’ll be matching them to your Christmas outfits.